My energy drink of choice is 'Lift Plus' from Coca-Cola. I'm pretty sure it's exclusive to New Zealand, and so it rightly should be. Fore if all energy drinks taste like pee, Lift Plus is the pee of angels. When it comes to heavenly teams in comics, you can't go much higher than The Justice League to get fans buzzing. See! And you thought Aquaman getting a can was just a fib I was spinning. Anything to do with liquids Arthur has to be first right? While I could easily have a line of these on my shelf (or tiled as a stunning feature wall), the can I dig most is Superman's. Design wise, the icon gets a heavier crop than others, but you still know exactly who we're talkin' about. Now that's iconic at work! Lift Plus is not here in The States, as far as I know- or have seen. And my finger is pretty on-the-pulse of the community and whatnot. I mean- I'm kind of a big deal. I'm with you King - love that Red Bull have supported other sports that need a hand, but can't really get the taste myself. 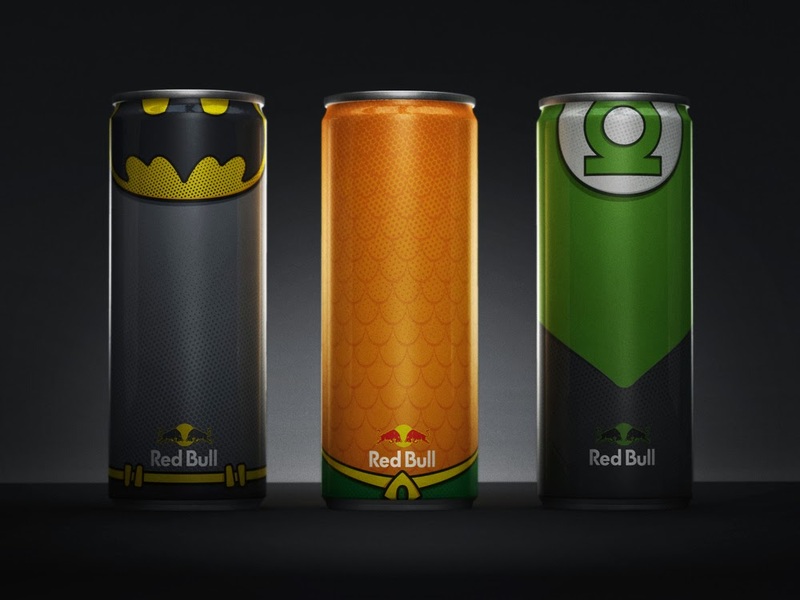 Still I'd buy these just to have the cans, and and I'd ding one set so I could play Crime Syndicate vs JLA. At least until the light turns green and the cars behind me start beeping again. We haven't got this here in England but nevertheless would love the WW one, just for the collection purposes! ~~I don't like Red Bull either - I don't know anyone who does, frankly. 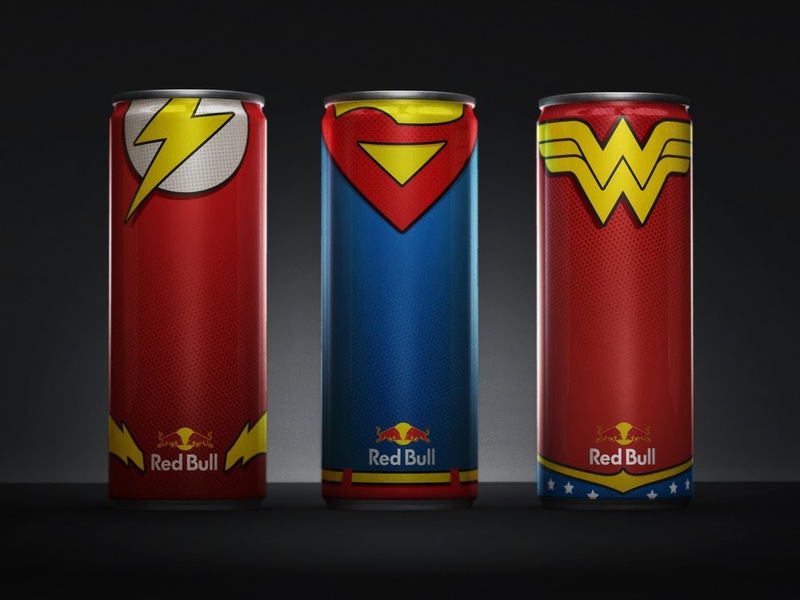 I don't usually drink Red Bull myself, but those cans are gorgeous!!!! Love em. Sign me up! Thanks guys - thought you would dig the Wondy one Karl! If only these were more than concept art! Dale who would you add as a seventh can? Captain Marvel would be my choice if his lightning bolt wouldn't be too similar to the Flash's can. Maybe Power Girl to balance out the female numbers... although that might have to be a twin pack!